When John Lennon died in 1980, it came as a shock. Murdered on the street by a mentally deranged fan, no one could have expected his sudden demise. When Michael Jackson died in 2009, it came as a surprise but not a shock. Given how many physical, psychological and personal issues Jackson had displayed for years, he seemed destined to die young. Singer Amy Winehouse falls into the latter category. When she died in 2011, I doubt this shocked anyone, as Winehouse’s pattern of substance abuse put her in the category of “likely casualty”. With Winehouse, it didn’t seem like a matter of “if” she’d die young – it was a question of “when”. What led Winehouse to that tragic state? A 2015 documentary called Amy looks at her life and sad end. In terms of visuals, Amy sticks almost entirely with archival footage, most of which shows videotape of Winehouse from 2001 through her death. We also find voice-over comments from Winehouse as well as manager Nick Shymansky, UK President of Sony/ATV Publishing Guy Moot, friend/flatmate Juliette Ashby, friend Lauren Gilbert, Island Records president (2001-08) Nick Gatfield, mother Janis Winehouse, father Mitchell Winehouse, friend Tyler James, pianist Sam Beste, producer Salaam Remi, hip hop artist Yasiin Bey, promoter “Spiky” Phil Meynell, musician Pete Doherty, ex-husband Blake Fielder, Universal Music Group Chairman/CEO Lucian Grainge, promoter Raye Cosbert, producer Mick Ronson, Island Records A&R rep Darcus Beese, Republic Records Chairman/CEO Monte Lipman, drug counselor Chip Somers, bodyguard Andrew Morris, sound engineer Shomari Dilon, singer Tony Bennett, doctor Cristina Romete, musical director Dale Davis and the Roots’ ?uestlove. Amy spends little time with Winehouse’s life before she became a recording artist. It starts in 2001 when she signed with a manager and progresses through the release of her first album Frank in 2003. The tale continues through her breakout success with 2006’s Back to Black through her slow downfall and ultimate demise in 2011. As the film progresses, occasional elements reflect back to Winehouse’s childhood/upbringing, but those remain in the minority. This means that Amy focuses much more on the “fall” than on the “rise”. Of course, we get information about her ascent to stardom, but even those moments come informed by the negatives associated with Winehouse’s fame. It appears she never enjoyed her success, and that tone comes through loud and clear. The strongest parts of Amy remind us of the human being behind the image. As she turned into the poster child for 21st century junkie rock stars, it was very easy to mock her excesses and look down our noses at what a disaster her life became. I won’t exempt myself from that – God knows I indulged in some laughter at Winehouse’s expense. Amy makes all of that look awfully cruel. As the film intersperses wisecracks aimed her way, these seem heartless. I don’t think they were intended that way, as I don’t believe the general public could’ve understood the depths of Winehouse’s demons – I think Keith Richards made the world view rock star addicts as cute ‘n’ lovable - but the impact remains. The movie gives us a clear idea of the problems Winehouse endured and makes her seem much more human. Unfortunately, Amy doesn’t adequately explore what led to those demons/issues. We get hints of “causes”, but these don’t illustrate the situation in a particularly compelling manner. Not that I think we could find one simple explanation for Winehouse’s decline. Amy tosses out a few issues such as her bulimia and the impact of her father’s behavior. Apparently Mitch abandoned/ignored the family during Amy’s childhood, and as depicted in the film, he comes back to milk her fame for his own ends. Amy certainly makes a case for “the wrong men” as a major factor. In addition to her father, we see her tumultuous relationship with Blake Fielder. It feels like history repeating: Amy substitutes a useless lover for her useless father. The media seems to get the brunt of the blame from Amy, and I think that’s a rather facile explanation. Would it be fun to live with the scrutiny Winehouse absorbed from paparazzi? Of course not, but the attention from the press doesn’t become a satisfying rationale for Winehouse’s foibles. While she seems unprepared for her fame and unable to handle it, I don’t think we can blame the media – many, many others have undergone greater attention and come through just fine. The press seems like an easy out and not one I believe works, at least not as the primary culprit. I wish Amy had tried a bit harder to give us a concise hypothesis – or not bothered to explore the roots of Winehouse’s problems as much. The film just seems so scattershot in its attempt to find blame, and it also fails to really explore the roots. Sure, we get a nod in the direction of Winehouse’s childhood, but the film lacks enough background to create a satisfying view of the psychological factors. Flaws aside, Amy does become an interesting examination, partly because it feels like it passes in real time. The use of primary sources also helps, as the focus on so much archival footage adds a layer of realism to the proceedings. I’m fine with “talking head” images but their absence suits this project. Ultimately, I think Amy gives us a mixed bag. While it brings us some notable strengths, I think it lacks real insight into its subject. The movie may offer clues about Winehouse’s problems but it casts such a broad net that it doesn’t settle as well as it should. Amy appears in an aspect ratio of approximately 1.85:1 on this Blu-ray Disc. The transfer replicated the source, which meant a lot of complications. As noted in the body of this review, virtually all the movie’s visuals came from source video, so that left us with less than appealing images. Sharpness tended to be iffy, with a lot of softness and fuzziness on display. Video artifacts abounded as well as a mix of jagged edges and moiré effects. Colors usually looked bland. A few decent hues emerged, but most of the shots showed flat, dull tones. Blacks were mushy, and shadows looked dense and opaque. Objectively, this was an unattractive image, but I can’t fault the transfer for that. Given the nature of the material, Amy looked about as good as it could. The relative ugliness of the image made me uncomfortable with a grade above a “C”, but I thought the image was fine given the nature of the source. Less equivocal pleasures came from the film’s DTS-HD MA 5.1 soundtrack. As expected, music dominated the mix, and the songs spread across all five channels. This felt surprisingly natural and not gimmicky. Some effects also broadened to the side and rear speakers, though not to a substantial degree. Audio quality worked fine. Due to the nature of the source recordings, speech could occasionally seem somewhat tough to comprehend, but most of the comments appeared acceptably natural and distinctive. Effects also showed restrictions due to the original material, but those elements offered reasonable clarity. Music fared best, of course. Once more, some of the recordings meant the songs could be thin and distant, but most of the tracks offered solid warmth and range. Given the nature of the documentary, the soundtrack seemed positive. 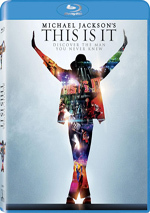 The disc comes with a decent set of supplements, and these open with an audio commentary from director Asif Kapadia, editor Chris King and producer James Gay-Rees. All three sit together for this running, screen-specific look at the project’s origins and development, research and source material, interviews, music, editing, and thoughts about the film’s subject. While the commentary gives us a decent look at the film’s creation, it tends to lack a lot of substance. We find much praise for Winehouse and not much objectivity. We do get a few good details about challenges related to the production, but I don’t think this becomes a memorable chat. Under Additional Interviews, we get a 53-minute, 52-second collection. We hear from musician/Winehouse’s friend Yasiin Bey, producers Mick Ronson and Salaam Remi and musician/broadcaster Jools Holland. They discuss their relationships with Winehouse, life in the music business and the creation of Winehouse’s records. Remi and Ronson provide by far the most interesting material, as they discuss collaboration with Winehouse. Bey offers decent thoughts about pressures suffered by artists as well, but Holland doesn’t get a lot of room to tell us much. One frustration: the Blu-ray presents all the participants as part of one long compilation. This means we can’t easily check out one subject. That seems like an odd choice. 17 Deleted Scenes fill a total of 33 minutes, 25 seconds. These offer notes from Remi, Winehouse, Ronson, Bey, friend/flatmate Juliette Ashby, manager Nick Shymansky, UK President Sony/ATV Music Publishing Guy Moot, friend Tyler James, producer Commissioner Gordon, musician Binky Griptite, music/culture critic Amy Linden, boyfriend Reg Traviss and Republic Records Chairman/CEO Monte Lipman. Much of the material concentrates on aspects of Winehouse’s musical career, though some personal elements appear as well. The clips prove to be pretty good overall, and a few probably should’ve made the final cut. In particular, I like the glimpses of “pn the cusp of fame Amy”, as the bubbly, friendly Winehouse circa 2003 gives us a stark – and heartbreaking – contrast to the jaded cynic of later years. It would’ve been interesting to see the shots of Amy’s happy 2003 interactions with fans put against the later segment in which she resents fans’ intrusion into her private time. Next we get three Unseen Performances. The disc includes “Rehab” (4:50), “Love Is a Losing Game” (3:50) and “You Know I’m No Good” (5:45). All of these come from a 2006 acoustic session at Metropolis Studio. They offer a nice bonus. The Making of Amy goes for one minute, 55 seconds. It offers some notes from Kapadia, Gay-Rees and King. This is essentially a promotional piece. The disc opens with ads for Love & Mercy, The End of the Tour, Dark Places, Mississippi Grind and Room. We also find the teaser and theatrical trailers for Amy. 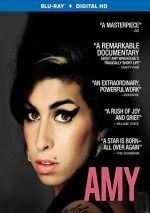 A mix of pros and cons, Amy becomes an absorbing but only sporadically satisfying documentary. While I like the way it humanizes its subject, the movie lacks the insights necessary to make it truly memorable. The Blu-ray offers adequate visuals as well as good audio and a positive set of supplements. Amy doesn’t totally satisfy but it deserves a look.